From Berlin to Potsdam, we took an hour and forty minutes bus ride. I was still adjusting to the change of time, so it was a good time to catch a power nap. It was about noon when we arrived at Sansoucci Park. It was hot and humid. We walked through a clearing and through a wooded pathway leading to the palace. The air felt heavy and thick. It was as if, Potsdam's air was giving us a warm welcome hug. 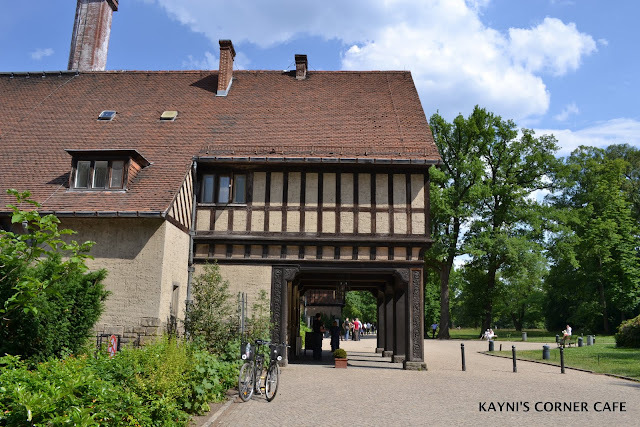 As sweat trickled on my forehead and back, I swung my camera to the side, wiped my forehead with my hand, wore my smile and kept walking towards the Cecilienhof Palace. My day was just getting better. 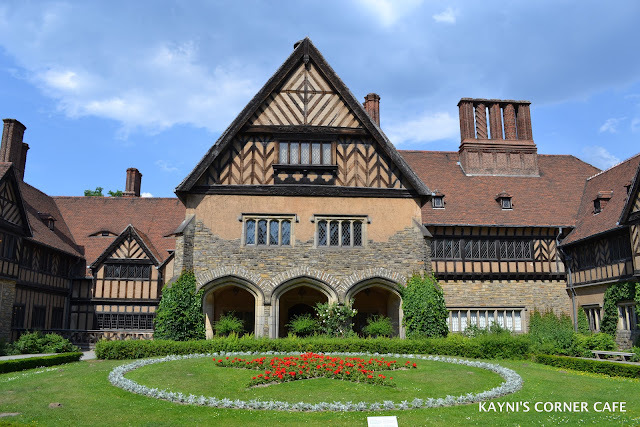 Potsdam had an old soul feeling. The city seems to greatly coexist with a well managed green forest. It is very quiet and serene in contrast to busy and noisy Berlin. If given more time to explore the area, it would have been nice to stroll and hike around the area even if it was hot and humid. At first glance, this Prussian palace looks simple. My first impression was that it looked more like a country home. The palace courtyard with a red star design made of Geranium flowers; it is also called Stalin's Star. According to our guide, the first flowers were planted by the Soviets in 1945. 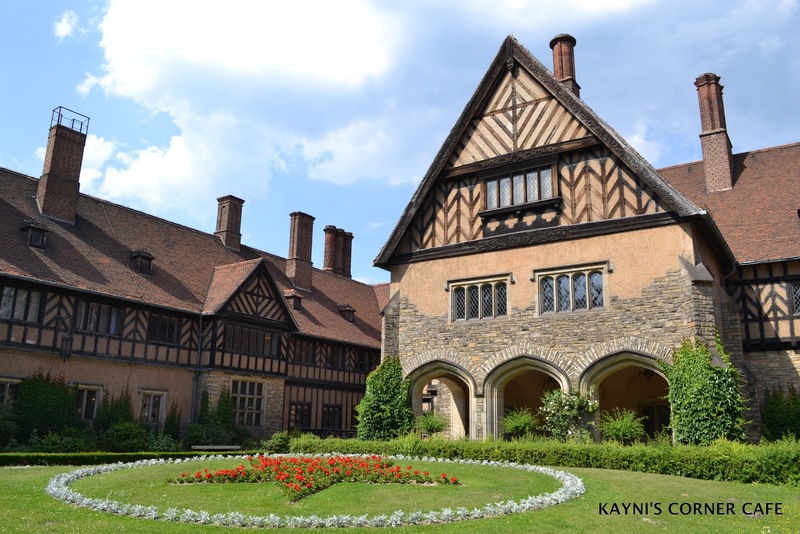 As simple as it may look, the gravity of one event that took place here makes this palace historically relevant -the Potsdam Conference in 1945. 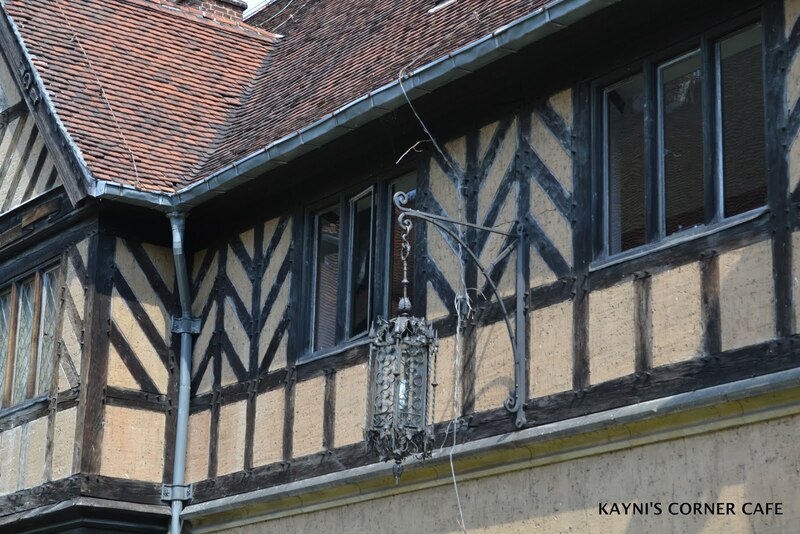 An old lantern hangs by the palace window. I wonder if this lantern knew who the important leaders who sat, smoked and chatted by its light. The overgrown plants add character to the palace. If only these these walls and windows could talk, would they whisper to me what Winston Churchill, Joseph Attlee, Harry S. Truman, Clement Attlee and Joseph talked about at the round table in the great hall? 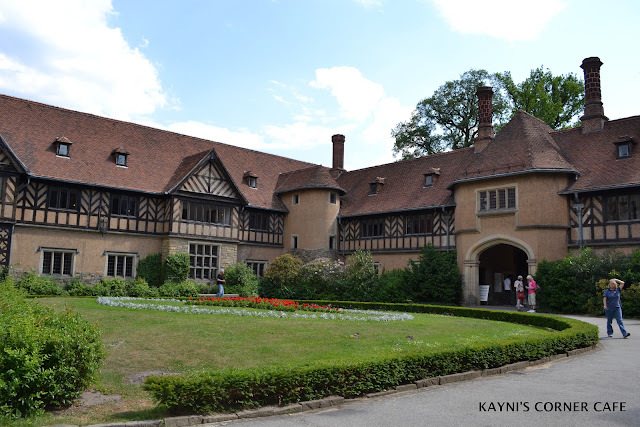 Cecilienhof was designed in style of an English country house for Crown Prince William, eldest son of Kaiser Wilhelm II, and Crown Princess Cecilie. Construction started in 1914, and the building was completed in 1917. Do not let the simplicity of this palace fool you. As we walked around the palace, I can't help but think of the gravity of what happened here and how one decision changed the outcome of World War II. 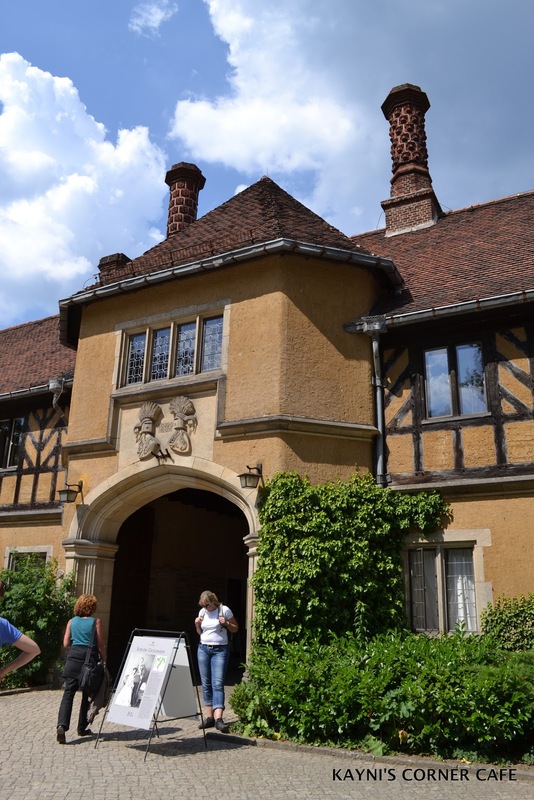 Because at this simple, quiet palace, an agreement was signed to change the course of our world history. Germany - Potsdam & Sansoucci Park, http://www.flickr.com/photos/checco/sets/72157594582046895/. Historic Highlights of Germany, http://www.historicgermany.com/3341.html. 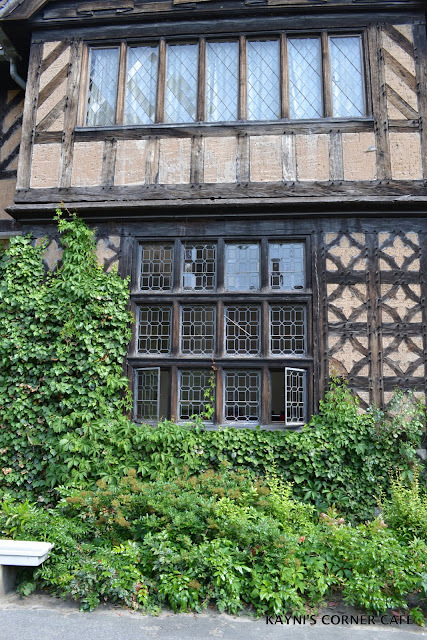 I like Tudor architecture, it gives me the Middle Ages feel to it that I love. It's a lovely stop, very historical. @ Photo Cache, It was a lovely stop and I really enjoyed exploring the palace grounds. i wonder what it's like to live in something like that...the place looks so charming! How very interesting. I did not know what went on in Potsdam right after the war. Good morning. I am writing a book on Churchill's Iron Curtain speech that includes his time at the Potsdam conference. Your photo of the palace with the red 'Stalin Star' is incredible. Would you be willing to let me use it in the book, if I give you full credit? Please e-mail me at alionintheheartland@gmail.com to let me know. I appreciate your consideration and hope to hear from you soon.